Mary Beth has always had a love for children. Ever since she was a small child, she knew that she wanted to be a teacher. She began babysitting at the age of 10 and her senior year in high school, she did her senior project in a 3rd/4th grade classroom. It was her intention to study Elementary Education in college, but life had other plans for her and she studied Creative Writing & Fine Arts. In 1995 her father passed away suddenly and through her process of deep grief and sadness, she discovered yoga. It was when she discovered yoga that she was reminded of her childhood and the contemplative moments that she often experienced outside under trees or through laying on the grass and looking up at the sky. She was able to rediscover her sense of ahh and wonder, which then reminded her of how much she loved and adored children. Mary Beth also grew up with ADD/ADHD and multiple learning disabilities. She took Ritalin, which eventually lead her to struggle with her body and the emotions that she felt around being diagnosed as learning disabled. She found that yoga helped her to focus, which eventually lead her to stop Ritalin. She has always felt that her story about the struggles she went through as a child in school would someday inspire education to shift. Mary Beth used to substitute teach in both the Montessori and Public school classroom. Her experiences with children taught her that teaching young kids was part of her purpose. In 2005, Mary Beth was working at Kripalu Yoga Center when one day she overheard 2 of her co-workers talking about a kids yoga class that they were leading that day. She became very curious and started asking a lot of questions, which then lead her to researching a program where she could become a certified kids yoga teacher. 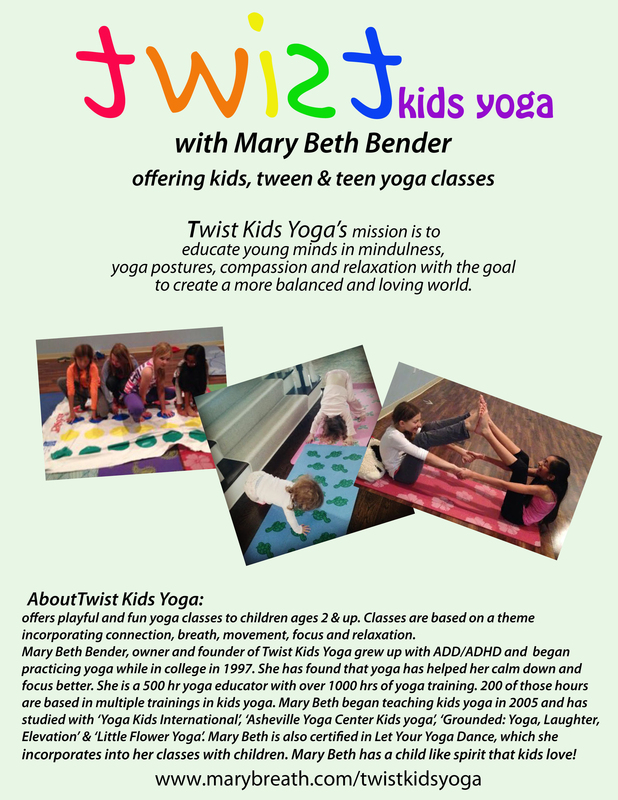 At that same time, Mary Beth already had experience teaching yoga to adults, but knew that she really wanted to be teaching yoga to children. In that same year, she flew to Los Angelos for a training/certification with Yoga Kids International. She then began teaching yoga to children at a day care and a small studio in New Hampshire. 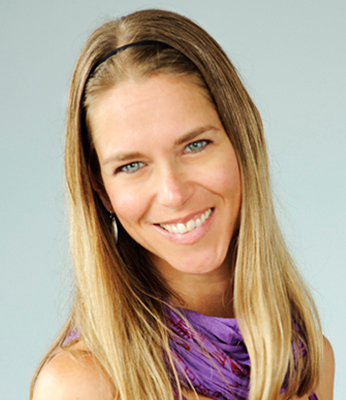 In 2006 Mary Beth moved to Charlotte, NC where she eventually began teaching yoga to children all over the city. She has taught hundreds of classes in various environments such as community centers, a church, studios, schools, a gym, a toy store and even a grocery store! Mary Beth is a 500 hr ERYT with a 95 hour Children’s Yoga teacher certification through Little Flower Yoga and also holds another 95 hours with Grounded Kids Yoga. She has studied with Yoga Kids International, Asheville Yoga Center, Little Flower Yoga and Grounded Kids Yoga and continues to see inspiration in the work of others. Mary Beth is a child at heart and has an infectious love and warmth for children. Children enjoy her boundless energy and her youthful spirit.